Have you ever found yourself stuck in a boring subject? A problematic project plan that seems impossible to execute? This is quite natural as most students end up facing this situation at least once throughout their academic journey. Nevertheless, no matter how boring the project or subject is, you still must give it your best and make sure that it will be finished on time. It’s quite common that students find themselves forced to do things that they’re not really fond of. These are the right things to do and studying a boring subject is one of them. 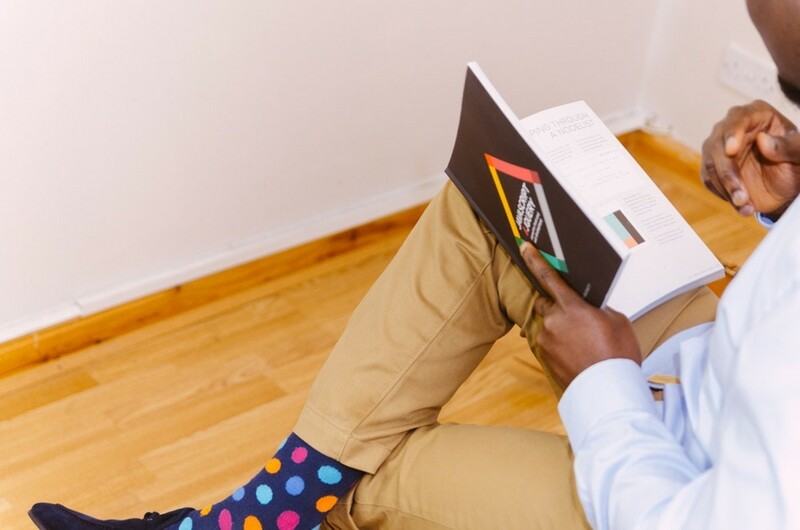 Here are some tips that will help motivate you to finish a challenging project or study a boring issue. It’s quite difficult to feel motivated when you’re all by yourself. Studying with friends and colleagues can make this difficult time easier. Start a study group with friends and split chores. This way you won’t feel overwhelmed by the number of tasks that must be finished over a short period of time. It’s an excellent idea to prepare the correct plan for a project. Moreover, a friend might know something that you don’t know so you can finish your studies fast. It’s a good idea to spend time with someone who’s on the same boat. Invite your friends over and engage in some fun couchsurfing and discuss your thoughts and fears. It’s always good to know that you’re not alone and that your worries actually make sense. Moreover, each member of the group can think of the trickiest question and find answers for, which takes the load off your shoulders. Use the power of imagination to help teach yourself how to get motivated. Your brain can be the best teacher to show you how to get motivated while struggling with a difficult project plan. Whenever things start to feel extremely challenging and difficult, close your eyes and start visualizing yourself taking action. Think of the time you’re done, how this will help improve your academic and career chances in the future. Every subject studied and each project plan finished add to your experience. It will eventually prove useful when students compete for an interesting job in a highly competitive job market. One of the best ways to learn how to motivate yourself is to remember that you won’t study forever. This is temporary, and you must think of how things will be once they’re done. Studying a difficult subject or finishing a challenging project means that you’ll have essential knowledge. You’ll get good grades which will qualify you for a reputable degree from the best college or university. There are lots of ways that can help you get done with tasks on time. Think about hiring assignment services and get help from the experts. This will give you more time to finish the most challenging tasks. Even when things seem so hard, and you start dreaming of getting some sleep, you should always remind yourself that this will pass. There’s nothing that compares to the sense of achievement after completing a challenging project. To better stay motivated, students should understand that everything counts. We sometimes become our worst enemies, and your mind might start playing tricks on you. Don’t let negative thoughts curb your enthusiasm if you feel that you haven’ done enough. It’s a good idea to have a plan and a target goal, but most times we set too high goals that we can’t achieve. As a result, you’ll end feeling frustrated. Think of achievable milestones and enjoy the sense of accomplishment every time you finish a small task. It will give you more energy for the parts that follow. Supportive study mates have a significant impact on you. Surrounding yourself with positive people can help you unwind and deal with stress. These people will listen to you, support you, and give you advice about any challenging project or subject. Receiving support and advice from others will help you finish difficult and challenging projects faster because they’ll tell you that you’re doing fine. You can engage in some fun activities to help you clear your mind and take your mind off complicated topics. This is a good way to recharge before working again. Try to hang up with people who have finished the same projects before. See how they managed to overcome obstacles and listen to their tips. They can help adjust your project plan and draw attention to problematic areas. The importance of the project or subject you’re studying should be reflected in every action you take. Let all your thoughts be focused on how to become better at what you do. How can you optimize resources including time and skills and complete the job the way it should be done? Use your past experience and knowledge to finish the assignment in the best quality. Add interesting thoughts to boring topics to help you study things better. Think about watching videos to help explain more difficult topics or tutorials that show how to make an excellent plan for any project. Challenges and problems make us stronger and more competent. Every difficult subject or project qualifies you to more interesting job offers in the future. With time, these problematic chores will get easier, and you’ll become better at handling similar issues. 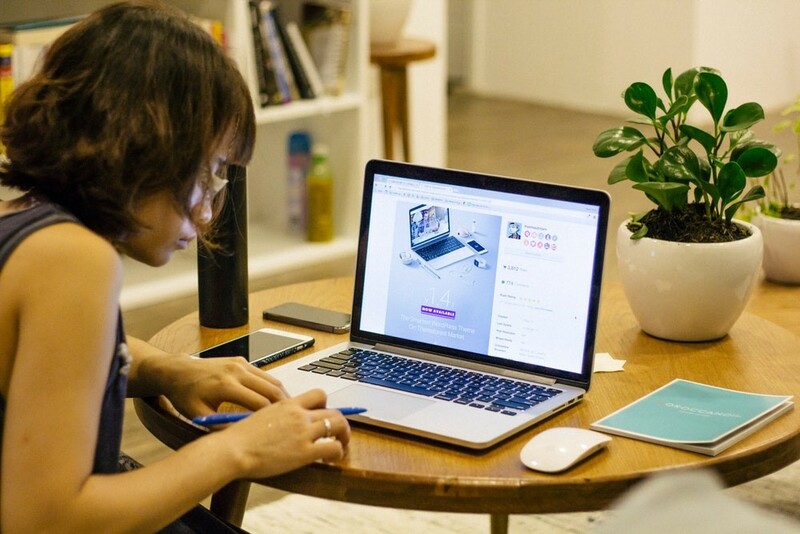 These tips will help you stay motivated and focused so you can finish all tasks on time. They also help you become a better student who stands out from the rest. Crystal Roman is a student consultant who helps students find their true passion and explore their potentials. She has worked with tens of students to help them find the right study program. She also coordinates between several institutions and organizations to help students find internship and scholarship programs. It is difficult to maintain a positive outlook. We are subjected to negative news cycles or stressful situations at work. So it is understandable that this negativity translates to our internal dialogue and personal narratives. It is important that we break out of these negative cycles in order to lead happy and successful lives. 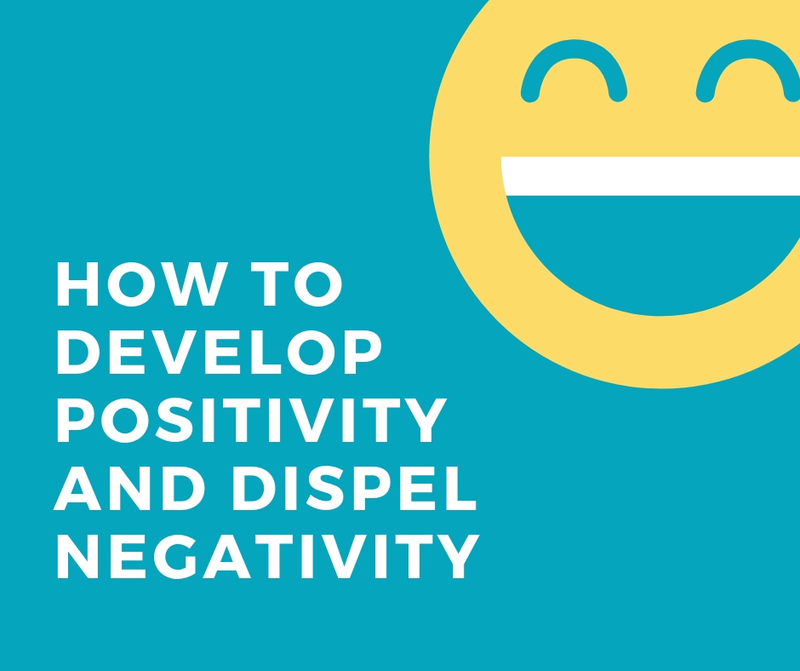 Like any challenge, we should approach negativity by acknowledging it and engaging with it to build our confidence. With the right tools, we can overcome these destructive forces and lead others towards a better environment in which we can grow. Many of the most successful and people know that a good day starts a good way. Once you take a fresh attitude each morning you will find that you can easily tackle your issues as they arise. With a good morning routine, you will find improvements in your mental state on a daily basis. For many, this starts with exercise. Studies show that exercise releases endorphins, the feel-good chemicals that give us a sense of achievement. A sense of achievement, no matter how small, is a key factor in mental well-being. So even if it is just a few push-ups or sit-ups, the key is to ensure that you set a goal and achieve it. “It is important to recognize that there are issues of the previous day that we will need to address. Something that many writers stick to is writing in the morning. It doesn’t have to be any good, it could be nonsense. But starting a day with writing notes helps you achieve mental clarity and enables you to conduct your speech coherently," says William Jackson, writer for Last Minute Writing and Researchpapersuk. No one sets out to have a pessimistic outlook. Unconsciously, we allow distressing events and information to affect us in negative ways. It becomes necessary for us to use various techniques to keep ourselves in a positive frame of mind. Remaining objective in our outlook helps us to distance ourselves from any challenges we may be facing. Taking a long view, it is wise to ask yourself why you should feel pessimistic about any situation. Then you should consider whether it would be more beneficial to concentrate on the positive aspects, however remote they may seem. “We become pessimistic when we look for the worst in our futures. As it is very difficult to predict our outcomes, it’s a good idea to think about the present. This way you can deal with everything in the here and now rather than some imaginary future," adds Matthew Cornwell, personal development writer at Draftbeyond and Writinity. Above all, you should enforce personal boundaries, not only with your circle but with yourself. Negative thinking has a habit of creeping in unannounced so you need to set up a psychological alarm bell for when these thought patterns emerge. Once you know the signs that can lead you towards pessimism you’ll find it easier to avoid destructive thinking. We can’t control our environment. It’s part of what makes life both a challenge and a reward. Once you realize this it becomes a lot easier to access the unexpected. Being open to the unexpected means that when issues arise they are less of a shock and more of an opportunity. When we renegotiate the negativity we attach to our surroundings, we create opportunities for inspiration. The challenges we face in our day to day lives offer us constant opportunities to discover what motivates us and what may motivate us in the future. Once we allow ourselves to be grateful for these opportunities, we are leading the way towards a more positive atmosphere within our circle. Erin Vincent has had a lifelong interest in content in the field of psychology. She is heavily involved in the ongoing investigation of psychology’s impact on business and career. She is a regular contributor to LuckyAssignments and Gum Essays, academic websites. My work is different – I’m not a guru, I’m not here to improve you, and I’m not here to make you believe something. I am here because I’m the bird who sings its song without any expectations. If you care to stop and listen to me, you do so because you appreciate the beauty of the song. Becoming a superhuman or improving your personal efficiency up to skyrocketing levels requires you to do stuff. As far as I see it, there are several primordial aspects that one must assume and acknowledge before working on complicated aspects. 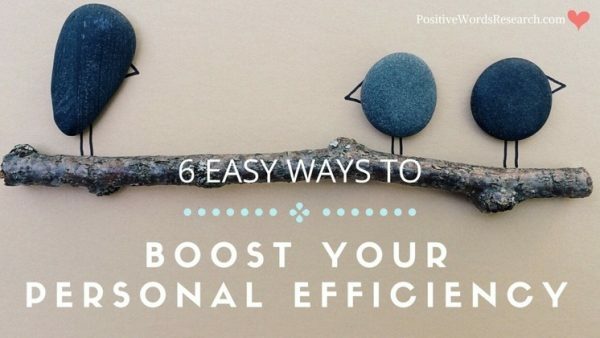 Here are 6 things you truly need to consider and apply if you really want to create long-lasting change in your personal efficiency. Start small but aim high. First of all, you must understand what meditation really is. There’s a lot of mumbo-jumbo everywhere around the internet, so many of us don’t really understand what true meditation is. Meditation is a state, not an activity that you must schedule. We are meditating every time we silence our thoughts and engage in the present moment. It is THAT simple. As Mark Farley, the founder of a popular assignment help enterprise suggests, “All you have to do is start observing what’s going on around you and your body. Use your eyes as tools for vision, your nose as a tool for smelling, your ears as a tool for sound, and activate all your other senses like touch, emotions, and vibration." Don’t focus on removing the thoughts. Many people make a true effort to stop their thoughts on command. That’s a trap that leads you nowhere. Instead, focus on your senses and on “now". “Knowledge is power" – you’ve heard it, I heard it, and our neighbors must have heard it too. It has a different meaning for each of us, yet for the wise ones, knowledge is everything. At one point or another, you’ll understand this statement better, and it will mark the beginning of a new stage in your life. Life’s all about lessons and growth. The moment you stop, you stop fueling what keeps you alive. For example, do you fail to do something in life? Do you fail to be disciplined or to stick to your goals? It means you do not have sufficient knowledge on how to remove the bad beliefs & habits. It means that you don’t have the “weapons" to fight back. When you embrace the knowledge that’s sitting up for grabs, your life will immediately change and your personal efficiency will boost. Let me ask you a question. Do you live in harmony with yourself? Simply put…Do you feel what you think? Or…do you do what you feel? Or…do you do what you think and feel? Thoughts + Emotions + Actions. If they are aligned, there will be harmony. If they’re not aligned, there will be suffering. Right now, most of us experience an internal anarchy because our thoughts, emotions, and actions are in disharmony. You can get out of this state by simply becoming the ruler of your thoughts, emotions, and actions. Become sovereign and an internal monarch of your world and you’ll be happy and free. There are many points in life when our needs completely change. We first desire to achieve material abundance. Money, fame, power, status…that’s the standard. But then, we will hardly be delighted by the things that we’ve accomplished. We’ll start seeking other types of experiences. We’ll start studying literature, art, history, and so on. But once we’re done with that, the process repeats. Eventually and hopefully, we’ll start seeking true knowledge, which is the knowledge of the self. We will realize that we had it all, right here, in our own minds. They call it the law of attraction. Simply put, what you intend to happen, it will eventually happen. However, it will hardly happen if your thoughts, emotions, and actions are not sitting in balance, because you actually need to take action to develop new things here, on the physical plane. How can you change any procrastination state, laziness, belief? You start with the intention first. You start caring about the thing that you want to happen. Once you know and visualize what will happen, start taking action! Don’t become attached to anything – people, feelings, thoughts, objects, states…they’re all going to trap you. According to Buddha, the attachment is the root of all evil and the biggest block to self-realization, and that’s become when you conclude something, you make it real, and it will eventually impact you in the future. If there are no conclusions, every experience will feel like “new". The past represents our illusions of what happened while the future represents the illusion of what will happen. The present moment is the only thing that matters. Stay there and your attachments will soon go away. So, as you may notice, there are many powerful actions you can take to arrive where you want. If you care, save this post somewhere on your desktop and keep revisiting it every now and then. Reflect on the topics discussed here and try to see the bigger picture. Lastly, remember to keep it simple. After all, we’re all playing our individual game. Once you realize that what you’re doing is simply playing, your fear will suddenly vanish and there will be no more irrelevant suffering. You will be free and ready to conquer your world. I first met Florin three years ago and I had the feeling that I meet a dear friend. Since then, I’ve met him tens of times for a variety of events and a boot camp on how to write a book. He is a person dedicated to his passion, perhaps one of the most passionate people I had the opportunity to learn from. Two years ago, I bought his book, “WOW Now! : The New Guide to Reclaiming an Abundant and Spectacular Life”. Moreover, I’ve bought the book directly from Florin with a personalized dedication and his autograph, which I am very proud of. WOW Now! it is a book that helps you understand the mechanisms through which the brain conveys information to the conscious and subconscious. Also, in this guide book, I found interesting working techniques that helped me to form new daily productive habits and removed the unproductive habits. The working techniques presented and explained in WOW Now, helped me understand why the events in my life were different than I had planned and I understood the frustration of so-called “failures.” However, this guide book has brought me more than understanding the causes of these failures. I found in the book techniques to modify these causes and to bring me benefits in the actions that I perform. It’s a book easy to understand and read, with simple techniques that encompass a vast area of actions. 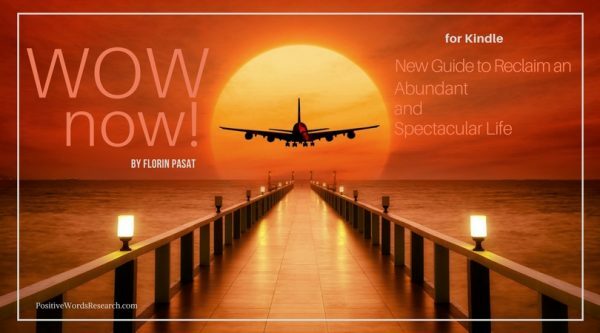 Health, relationships, well-being, positive and productive attitudes are just some of the important aspects of life that I have improved with the help of Florin Pasat and his guide book, WOW Now! WOW Now! helped me to understand what my “Path” is. According to Florin’s teachings, each person has her/his own Path, a DO (the Japanese word for Path). For each DO there is a DOJO – a training room. WOW Now, was the Tool I needed for training in DOJO in order to take the first step to my DO/Path. The Path/DO is a life-long journey. Therefore, I enjoyed seeing Florin launching WOW Now guide on Kindle. Moreover, I can have this tool/book with me all the time on the phone from now on. It benefits me since I can access knowledge and techniques from the book at any time. I can show it to friends when they need it and I can use it as a powerful GPS for my Path/DO. I am grateful for all the information, techniques and secret ingredients I have received through this book and through the communication with Florin, who has always answered any questions I have had. Thank you! Arigato! Anca Nicoleta Istrate is Editor, Research & Development Manager & Loving Kindness Ambassador at PositiveWordsResearch.com and passionate about personal development. For most of us, even the thought of positive thinking seems too far-fetched when compared with the practicalities and ironies of life. The term has been used so often that it has lost much of its significance. However, experts reveal that there is a lot more to the impact of positive thinking than mere instances of happiness. 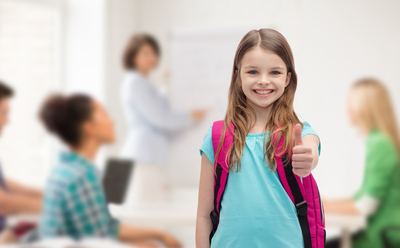 In the educational context or from a professional outlook, a positive attitude helps regardless of your situation and mindset in life. When we talk about student’s struggle at college or university level education, it is apparent that positive thinking is more relevant as compared to children in preschool. This is why teachers are advised to incorporate exercises and discussions in the class in order to instill the right positive thinking attitude towards studies and academic commitments. 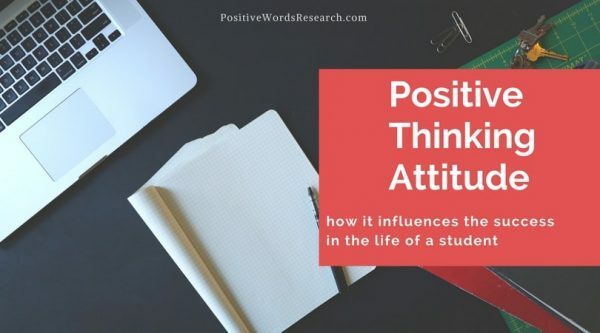 As a consequence, we’re going to examine the details of the influence of positive thinking in a student’s life and how our attitude affects our success. We tend to have countless of thoughts over the course of each day. Most of the chunks come from the remains of the thoughts from yesterday and before. Unfortunately, some of these thoughts are negative. Common examples include, “I won’t be able to complete this assignment", “how am I supposed to deliver this presentation to a large audience tomorrow? ", “I am not good enough to be recognized in the class", etc. The thoughts attach themselves to our mind and bring us down. Negative thoughts blur our attention. Imagine wandering in the world of The Walking Dead, and a herd of zombie is advancing towards you. It doesn’t matter what your mind was occupied with before witnessing this scene. Your immediate response would be to run away from this herd. Agreeably, quite an extreme example to narrate, but this is what negative thinking does. The thinking will consume our thoughts in a way that will make it quite hard to get over the mental barriers and consequences. The power of positive thinking is visible, only if we have the knowledge and will to see through it. A psychology professional at the University of North Carolina, Barbara Fredrickson, examined the relationship between positive thinking and actions. She concluded that its impact to transform our lives can be quantified. Fredrickson’s experiment contained five groups who watched different videos and displayed different types of emotions: happiness, satisfaction, anger, fear and neutral. The groups were then requested to visualize the same situation and explain how they would handle the situation. The participants who watched positive and inspiring videos registered a better idea generation ability as compared to other groups. Fredrickson’s experiment concluded that positive thinking actually enhances the mental boundaries up to a great extent. On the other hand, negative thinking limits the creativity and thinking capacity of the brain. The dynamics of positive thinking is also often termed as “broader and build" theory. The theory states that the positive emotions come as a motivating drive that urges the individual to be imaginative and work for his or her best interests. Consequently, this leads us towards attaining future skill development. How to Think More Positively? Not from productive things, but yourself from falling into the never-ending ocean of negative and depressive thoughts. Before thoughts, stop yourself from negative self-talk and stay optimistic no matter what the situation is. Keep telling until you convince yourself that you are better than that, deserve more, and can live better against all odds. Try to rewire your ideas for the good. Take the self-improvement process in a step-by-step manner. First, identify what your negative thoughts really are and why they exist. Second, try to extract the positive lessons from the negative experience. Lastly, rewire the negative thought using the positive extract to turn the thought into a positive and inspiring one. Consider the example of getting a B in Calculus. It will be easy for you to say, “I didn’t perform well in the exam as intended". Rather, try to come up with something like, “I pushed myself for the Calculus preparation in a quite short time". Or, “The grade I scored is better than I expected given my packed schedule along with other commitments". Lara Hawkins is a professional motivational speaker and conducts seminars and workshops for both students and professionals worldwide. Besides her regular job and passion to work for our self-improvement and fulfillment, Lara also operates an accomplished assignment company the UK with a large number of under- and postgraduate disciplines under her expertise.